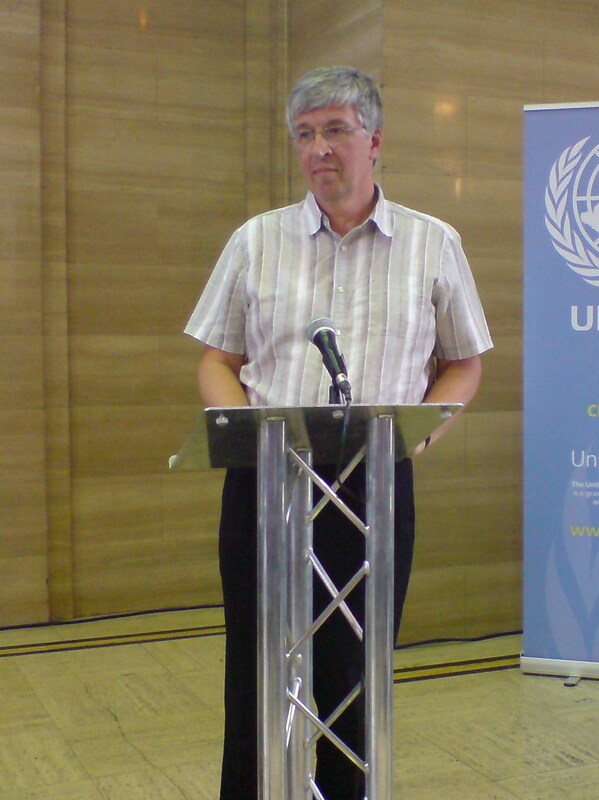 The 2011 policy conference of UNA-UK was held at the Temple of Peace in Cardiff from 17-18 June. 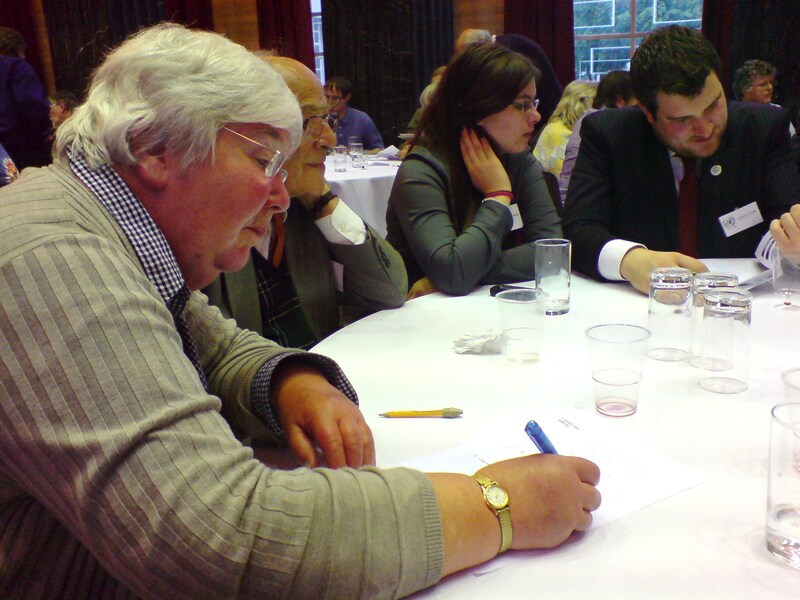 On Friday 17 June, the programme included two workshops, a presentation on the draft strategic plan, a film and a quiz. The first workshop, on Fundraising, was run jointly by two interns working for UNA-UK, Madelyn Eads-Dorsey and Paloma Agullar. Although it focussed partly on obtaining information from websites relevant only to England and Wales, nevertheless, it covered useful tips on where to find donors, what donors should be targeted and how to write a professional application. The second workshop, on Communicating the Work of the United Nations, was run by Natalie Samarasinghe, UNA-UK’s Head of Policy & Communications, who presented a handout – available here as a PDF file. Publicity Workshop Handout This prompted a useful and valuable discussion. Sir Jeremy Greenstock (Chairman of the Board of Directors, UNA-UK) and Phil Mulligan (Executive Director, UNA-UK) presented UNA-UK’s draft strategic plan for the next four years (currently available in draft form at the UNA-UK’s website). The draft plan provoked much discussion, particularly on the question of how policy is formulated within the Association. It is expected that the strategic plan will be finalised by the end of 2011. 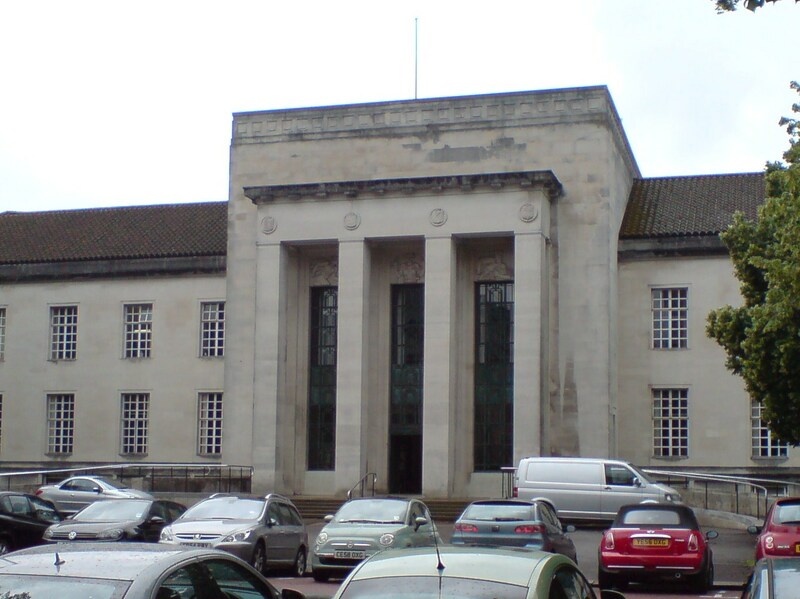 The short film ‘UN Year in Review 2010’ was played on a loop in the Council Chamber. Sadly, your delegates did not shine in the results of the UN quiz. We believe this is because we shared a table with UNA-UK staff who had set the questions, but steadfastly refused to give us the answers! Saturday 18 June was taken up by debate on the various policy motions which had been submitted by UNA Branches and by the UNA-UK Board. You can see the full list of motions at the UNA-UK website and you can see what happened to each of the motions and amendments which we had put forward here. This session debated 14 motions plus 14 amendments on subjects such as the Responsibility to Protect, the Middle East, Uranium and Nuclear Weapons and the Arms Trade. Together, we spoke five times in this session. After lunch, delegates took part in two policy commissions, on Human Rights and UN reform, which were held simultaneously. 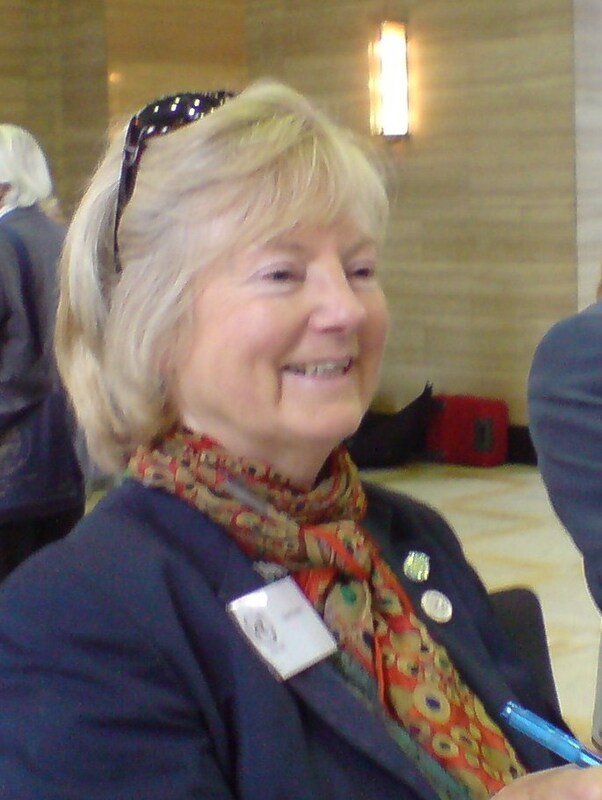 Liz Sim participated in the first commission, which considered 7 motions plus 1 amendment on subjects such as Sri Lanka, the rights of street children, freedom of religion, human trafficking and the detention of asylum seekers. Gari Donn and Martin Verity participated in the second commission, which considered 9 motions plus 5 amendments on subjects such as UN Women, reform of the General Assembly and the Security Council and UNESCO. Martin Verity spoke to a motion on UN reform. Plenary session 2 was on the Millennium Development Goals and on Sustainable Development. This session debated 12 motions plus 19 amendments on subjects such as climate change, international development, food security and sustainable economic growth. The session also debated emergency motions. In particular, conference carried a motion urging the Board to retain regular Policy Conferences. 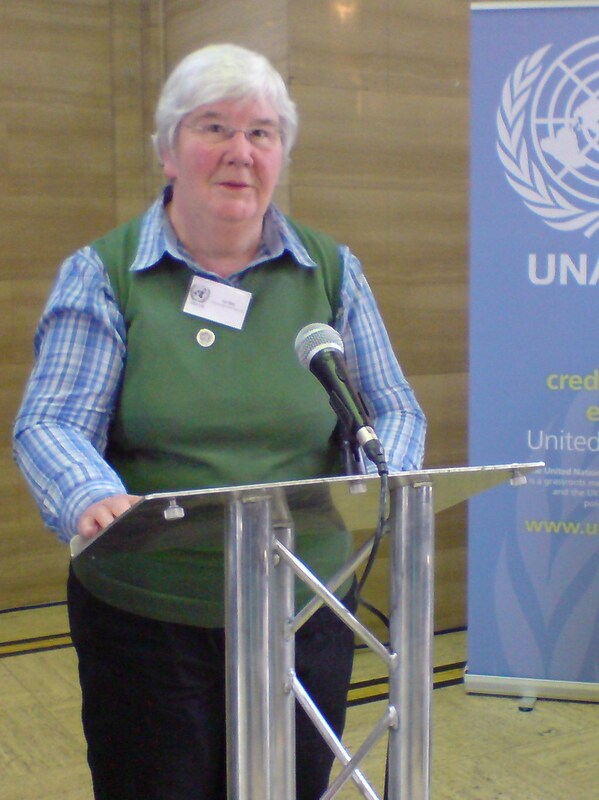 Liz Sim spoke to an urgency motion on Israel-Palestine, which the conference agreed to refer back to the UNA-UK Board.